This is what I woke up to find on a part of G's chalk board wall in his bedroom. 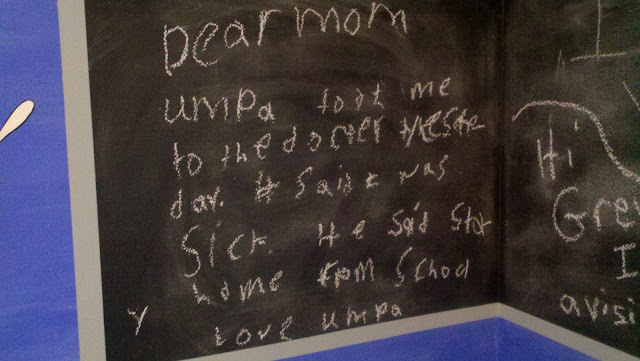 It says, "Dear Mom Umpa took me to the doctor yesterday. He said I was sick. He said stay home from school. Love Umpa"
Funny that it starts as being from G and ends as being from Umpa. Hmmmm Not suspicious at all.